Volunteers are wanted to take part in an excavation of Boltby Scar hillfort on the edge of the North York Moors. The dig will take place on week days between 30 April and 25 May 2012. 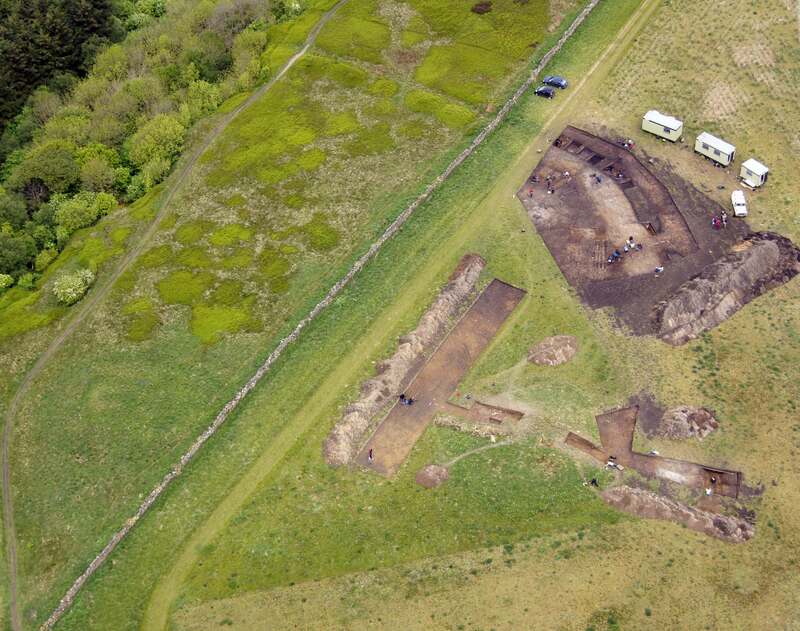 This will be the third dig at the hillfort which is on the south-western edge of the North York Moors, close to Sutton Bank National Park Centre. Around one third of the hillfort’s original defences still survive including a rampart, external ditch and outer bank which enclose at least two round barrows or burial mounds from the early Bronze Age. However much of the defences were levelled during the 1960s in order to incorporate the area into arable fields. The dig will continue the work of similar excavations carried out in 2009 and 2011 with the aim of increasing understanding of the hillfort’s original construction, its subsequent defensive uses and its relationship to other features in the wider landscape such as the neighbouring hillfort at Roulston Scar and the Cleave Dyke pre-historic boundary system. Jennifer Smith, Lime & Ice Project Officer, said: “Many people are fascinated by archaeological digs but opportunities to get involved in one are few and far between. “The dig at Boltby Scar hillfort is a great chance to unearth a fascinating slice of local history. “We’re looking for people with an interest in archaeology who could dedicate some time during May to lend a hand. Volunteers are asked to commit a minimum of two days. For more information or to register an interest, contact Nick Lishman at the North York Moors National Park Authority on 01439 770657 (Monday to Friday) or email n.lishman@northyorkmoors-npa.gov.uk. Professor Dominic Powlesland from the Landscape Research Centre will be leading the excavation at Boltby Scar. He will give a free talk about the findings from the various excavations at Sutton Bank National Park Centre on Thursday 10 May at 7pm. To book a place, call 01439 772738.